Curriculum Vitae/CV. Resume modern colorful creative design. List of education, experience,skills,achievements, contact and personal information. Curriculum vitae black icon concept. 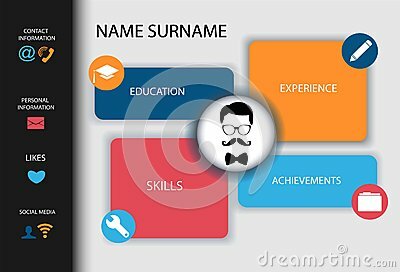 Curriculum vitae flat vector symbol, sign, illustration.